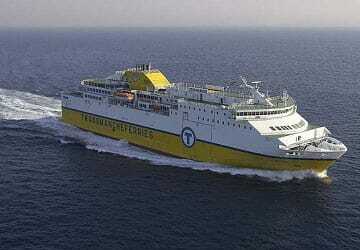 The Dieppe Newhaven ferry route connects France with England. 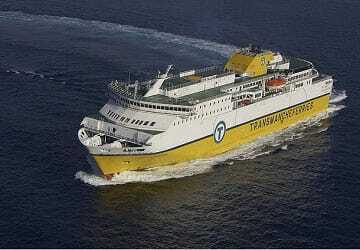 Currently there is just the 1 ferry company operating this ferry service, DFDS Seaways. 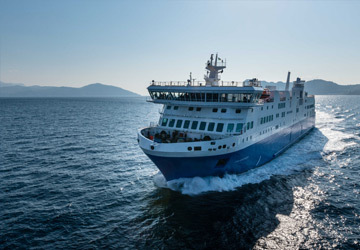 The crossing operates up to 21 times each week with sailing durations from around 4 hours. Dieppe Newhaven sailing durations and frequency may vary from season to season so we’d advise doing a live check to get the most up to date information. Prices shown represent the average one way price paid by our customers. The most common booking on the Dieppe Newhaven route is a car and 2 passengers. 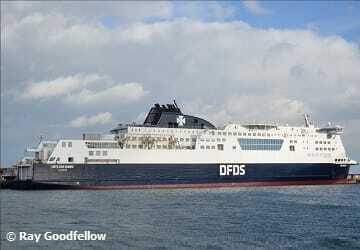 We used DFDS recently and found the whole experience to be excellent. From the ease of booking, value for money, the customer service to the onboard experience, we could not fault the carrier. The only side that needs improvement in our opinion is the catering. The staff are great but the food is below expectations. This could be improved. We would certainly would use the carrier again and would not hesitate to recommend them to our friends and relatives. We wish they would consider operating on the Jersey route to France as the present shipping line is ridiculously expensive. The sailing is nice and relaxed with seemingly hassle free loading and discharge. I do feel that restaurant prices seem somewhat excessive and not good value for money. On the whole a decent link to France & Europe. The town and port of Dieppe is located in the northern France, in the Seine-Maritime department in the Haute-Normandie region. The town lies on the English Channel coast at the mouth of the Arques river which is famous for its scallops. There are plenty of things to do and see in the town including the Chateau de Dieppe which is now a museum and exhibition space. The museum's collection, which focuses on the town's maritime past, includes 17th and 18th century carvings and the furnishings and papers of Camille Saint-Saens. Also in the town is the Square du Canada, which is located close to the castle, where there is a recently erected monument commemorating the long relationship between the town and Canada. Stretching along the harbour visitors will find a lovely promenade where they can observe the boats in the harbour at anchor. Dieppe is also well known for its sea food. Specialities include marmite diepoise, which is a fish and seafood stew cooked in cream, cider and onions, lightly flavoured with spices, and moules mariniere, which is mussels in a wine, shallot and cream sauce. Dieppe has a ferry port, directly linked with the port of Newhaven on the English south coast, situated at the mouth of the river Ouse in East Sussex. The twice-daily service to the Port of Newhaven is operated by LD Lines. The town and port of Newhaven is located on the south coast of England in the county of East Sussex, and lies at the mouth of the River Ouse, in the valley created by the river through the South Downs. A popular attraction in the town is Newhaven Fort, one of the Palmerston Forts, which was built in 1859 on Castle Hill on the recommendation of the Royal Commission in order to defend the town's port. The Fort is now a museum and was at the time the largest defence work ever built in Sussex. Situated close to Newhaven, and of particular interest with aviation lovers, is the village of Tide Mills which is where an experimental seaplane base was located. Operating from there and the nearby airfield at Telscombe Cliffs, the RAF base was equipped with Short Type 184 seaplanes and carried out anti-submarine patrols over the English Channel until the end of the First World War. The Port of Newhaven is a minor but busy port and is the gateway to Dieppe on the south east coast of France. There are a few facilities at the port, including a convenience store and coffee shop. Facilities for disabled passengers are also available. There are specially designed rest rooms and wheelchair friendly areas in the terminal.